Ranging in size from sub shrubs such as Paxistima canbyi, to Jostaberry, the choice of xeric shrubs is immense. The range of types and growth habits is as wide. 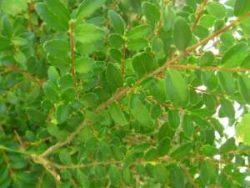 Most shrubs with good drought tolerance and other drought smart strategies tend to grow slowly and require little in the way of pruning except for shaping. Ask your local landscaping contractor which ones grow well in your area, and are easy to maintain; they are a good source of great suggestions, as they're the ones you call if your plants are in trouble. 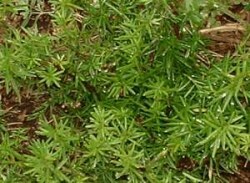 Most smaller shrubs combine well with other xeric plants and groundcovers. Many taller types are useful in hedgerows and shelterbelts as wildlife habitat or grown for use in rustic crafts. In addition to attracting birds and wildlife, they can also be beautiful either in bloom, autumn colour or with a distinctive winter silhouette- or all of the above. Shrubs that can contribute multiple features to your garden are valuable - aim for hardy, reliable and low maintenance species that will add more than just a blobby outline in winter. 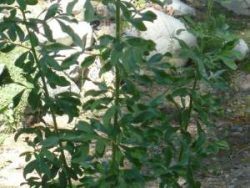 Fast growing shrubs contribute their shelter and protection to slower plants, providing nesting spots and forage for birds until the more valuable plantings are established. 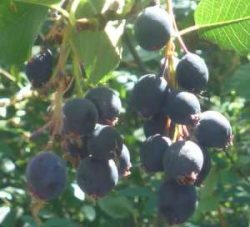 Amelanchier alnifolia or Saskatoon berry, or Shadblow as it's also known, is one of the most beautiful shrubs, especially in spring when it blooms with the purest white flower. The first blooms are a sign that it's safe to plant a garden, because there is rarely a frost once the Saskatoons are blooming. It forms a thicket of architectural grey trunks, and the wood is extremely hard and durable. I use it a lot for making twig items such as handles for tools or planters or my favorite walking stick. Following the blooms are dark blue berries, which usually are taken by birds or chipmunks before I get a chance to pick them. Watch for bears too, these berries are a magnet for them. Corylus avellana 'Contorta' or Harry Lauders Walkingstick is one of my all time favorite little trees. Forming a multi stemmed round ball of twisted and contorted branches, it can reach an ultimate height of around two meters. In summer, clothed in the crinkly large leaves it doesn't show it's true and amazing shape - only cast against a backdrop of snow does it reveal the character of the twisting branches. Twinkling lights accent this little tree to perfection. 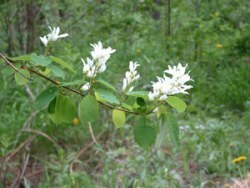 The branches are prized by florists for their unique character. In time, with great age, this shrub can produce a few delicious little hazel nuts. 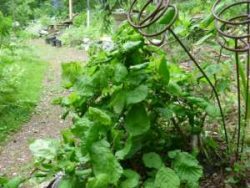 Usually grafted onto a seedling, you have to watch for any upright growth, and prune it out immediately or it will take over as it's much more vigorous than the twisty growth. Halodendron halimodendron is the Siberian saltbush, known for its tolerance for road salt or beach sand, as well as cold hardiness. The spines are a little off-putting, great for keeping dogs or wildlife away, but the surprise of their purple pea like blooms makes up for it's prickliness. 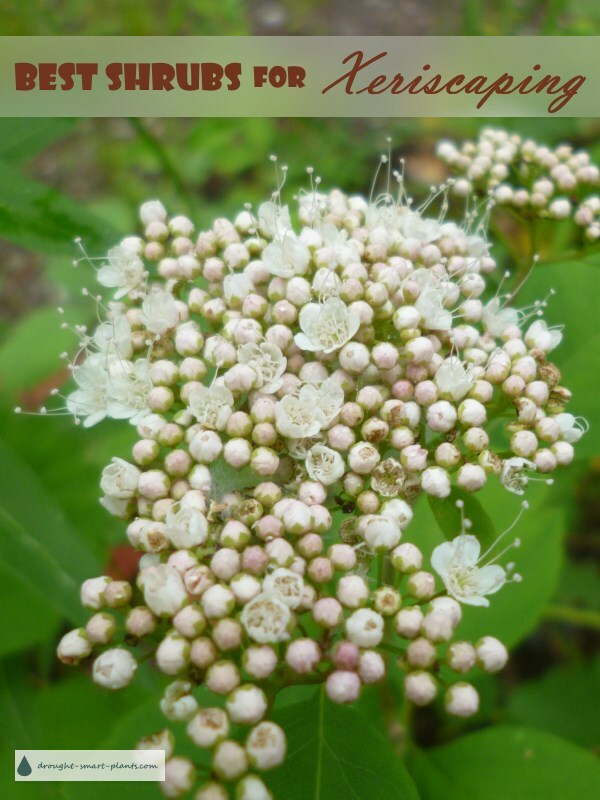 Resistant to salt as the name implies, it's a useful ornamental shrub for very harsh conditions once established - along driveways and roads where winter salt spreading won't deter it at all. Paxistima canbyi - also known as rat stripper, cliff green or dwarf mountain lover. How many odd common names does one little plant need? Low, wiry, very flexible branches used in the florist trade for filler in bouquets; it's collected in the wild by wildcrafters. Paxistima myrsinites - larger version of the above, this one gets its name from the delicate, elusive scent of the almost invisible pink flowers in spring. Also used by florists; both of these shrubs have a very long shelf life once cut, making them a very desirable addition to floral displays. 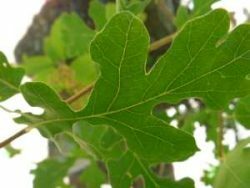 Quercus gambellii - the rocky mountain oak has leaves like Quercus robur, the English oak. 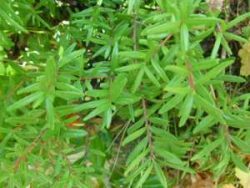 This shrub puts out one flush of growth per growing season, and the leaves stay amazingly fresh, to turn ochre in autumn. Multi stemmed and slow growing, this is a shrub for tough conditions and challenging sites. Highly underused in my opinion - I'd like to see it grown more. 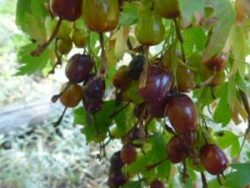 Ribes Jostaberry - cross between black currants and gooseberry, these are much nicer than you'd imagine. 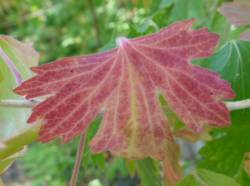 They have interesting lobed leaves which turn a lovely pink in fall and fruits that look like black grapes. These make excellent jelly. Taxus ‘Hicksii’ - Hicks yew, is used a lot for hedging as it takes any kind of abuse such as severe pruning. It will make lush new growth out of even very woody older branches. These have been used for hedging and topiary for centuries, and can withstand very challenging conditions once established.